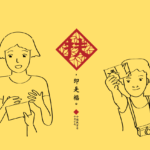 CPAD (the State Council Leading Group Office for Poverty Alleviation and Development) (oops…) in China held two competitions for selecting the best logo and poster for the first National Poverty Alleviation Day on October 17th. Though the commissions were published as two, which means logo and poster could be two totally non-related designs, we still decided to do an integrated visual identity proposal where the twos could have mutual reinforcement. 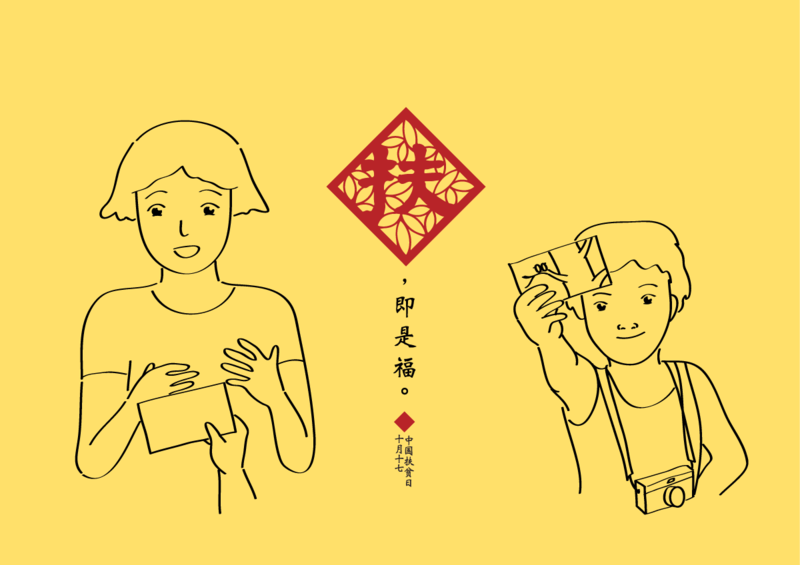 扶 (Fú) and 福 (Fú) are two characters with different meaning but the same pronunciation Fú. The former one, verb, literally means giving hand to let somebody stand still or stand up. 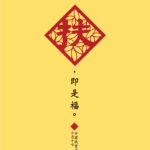 Together with other characters, it could express help in a general sense; the later one is a noun, meaning happiness but in a more synthetic way. It connotes dozens of positive things like fortune, happiness, hope, luck, and so on. 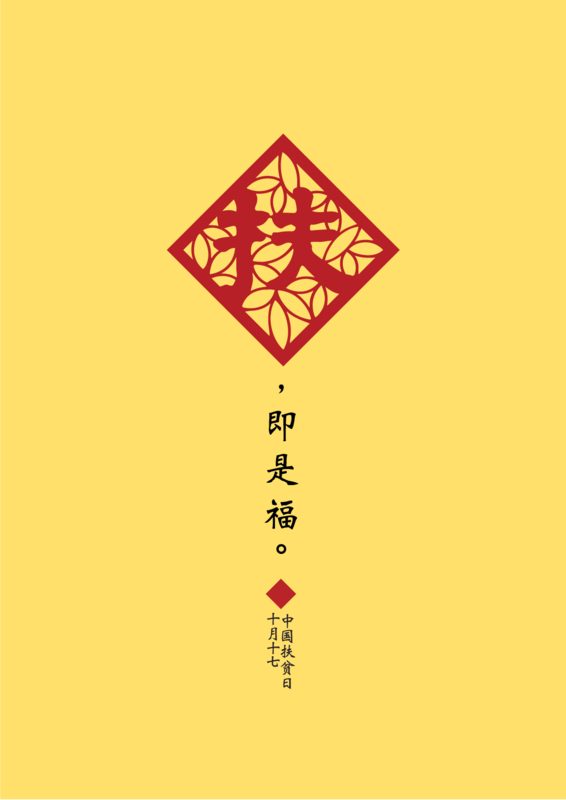 Chinese people favour it a lot, therefore they put it everywhere in words and visual identities having their names pronounced the same way as 福 (Fú). Inspired by this homophonic phenomenon, we got our message to convey — giving a hand brings happiness. 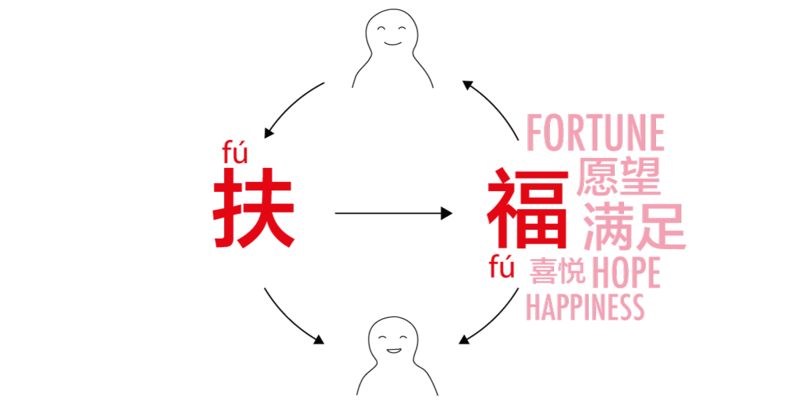 In Chinese, it becomes Fú is Fú (扶，即是福). 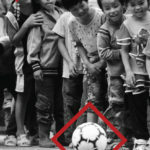 As you may know, in China, poverty alleviation used to be a kind of total altruism untouched by any self-interest, therefore unusually high class. It served as an important role in political propaganda and worked well in the totalitarian past. Once being given a little more individual freedom, people soon got not that comfortable of the narrative. I am just a normal person. I am not able to do that high class thing. So it is non of my business. Three steps above release people from even thinking about the issue, thus making it pretty exclusive. Virtue worship did not work anymore and it was the time quota donation took effect. When it is necessary, companies would be requested a number of donation by government, then companies collect donation from all the workers in a certain way. It is like you pay a bill that derives neither from any future welfare nor from your willingness. Although money has been collected time after time, empathy of people towards those who need help deadly decreases. The whole poverty alleviation thing was simplified to a small duty: Money paid, things done. 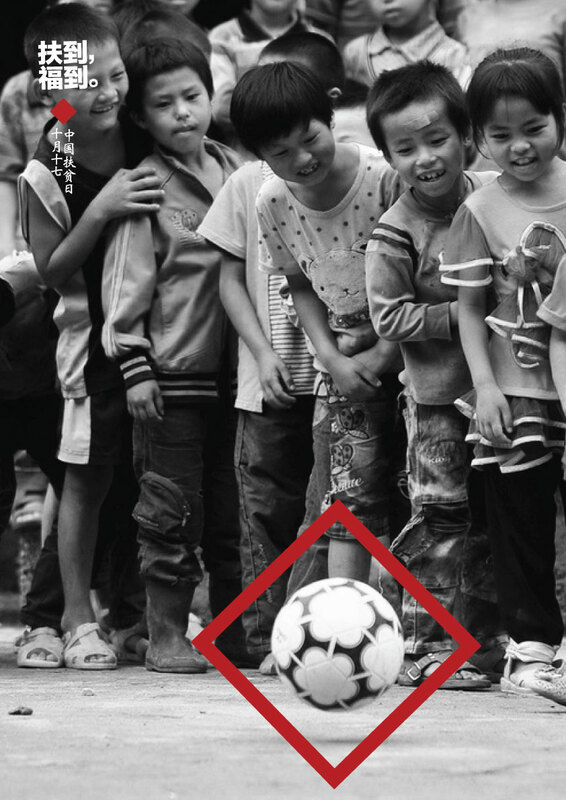 The goal of National Poverty Alleviation Day is Encouraging public awareness. It partially proves that CPAD also realized the damaging effect of their quota strategy. So, they decided to rebuild an inclusive image by replacing the unspoken “request” with “invite”. Helping the others is not just giving out things while getting nothing back. Human empathy gives birth to happiness, enrichment, warmth and hope. They flow back and forth, nurturing both parties in a deep way. 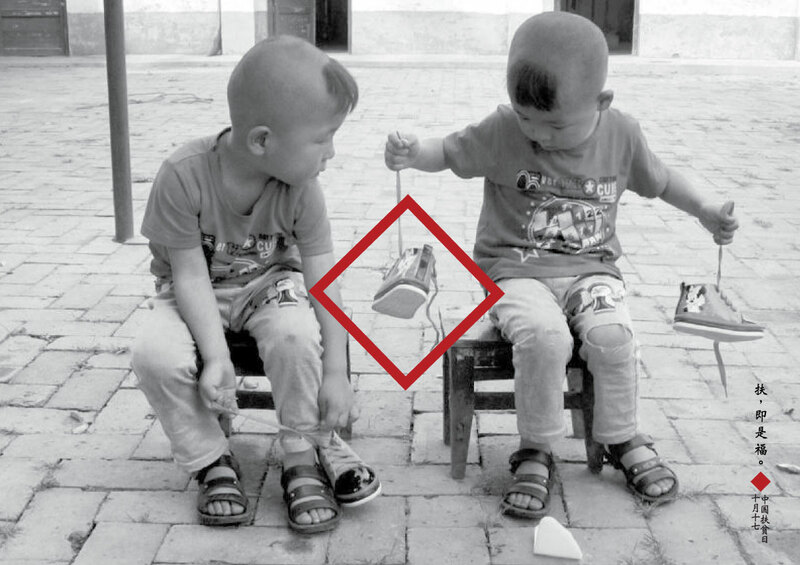 In short, it becomes Giving a hand (扶/Fú) brings Happiness (福/Fú). 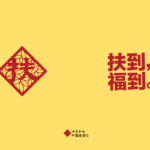 We put the give-a-hand Fú (扶) into a red rhombus to imitate the mounted Chinese character Fú (福), a red rhombus with the happiness Fú (福), appearing at the entrance of everybody’s home during Spring Festival. 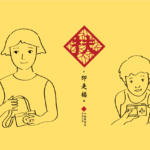 Under the assumption that the mounted Chinese character Fú (福) has already been carved into every Chinese’s mind, we got visual and auditory connections working at the same time, which was supposed to convey the message effectively. We made a series of posters with different dominated elements: word, graphic, and photograph. Accordingly, the abstraction level varies with word the highest, photograph the least, and graphics in the middle. First of all, it suits the different comprehension of people. Kids are more likely to be attracted by graphics while higher educated people may find words more profound. Secondly, the series contains heterogeneity at low level that attracts people without losing the strength of the main idea as a whole. 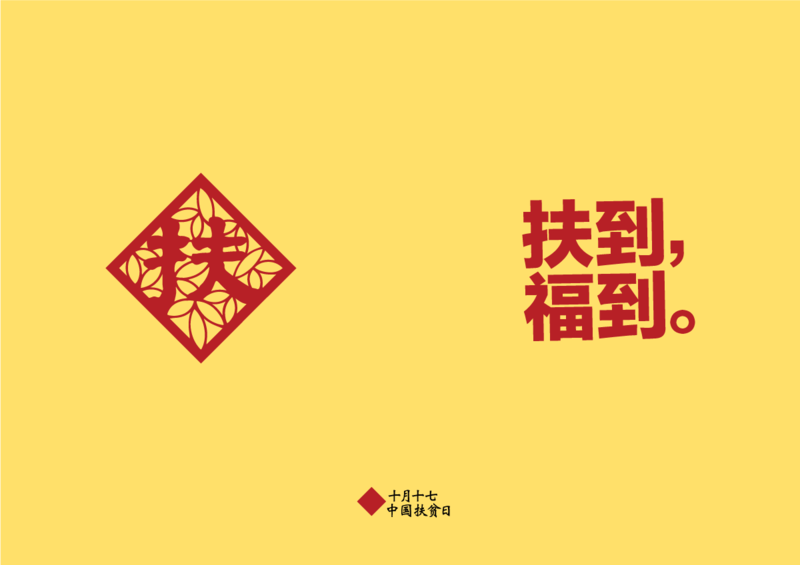 From those feedback, we got to know that without any clue of context people understood the logo in different directions (in the picture shown below, you can see that several other Chinese characters are all in red rhombus including the first happiness Fú); with words, people find the logo comprehensive, strong and well fit the context; after being told “giving a hand brings happiness”, they replied “Aha!”, “Yes, that’s it.” or “So cool!”. 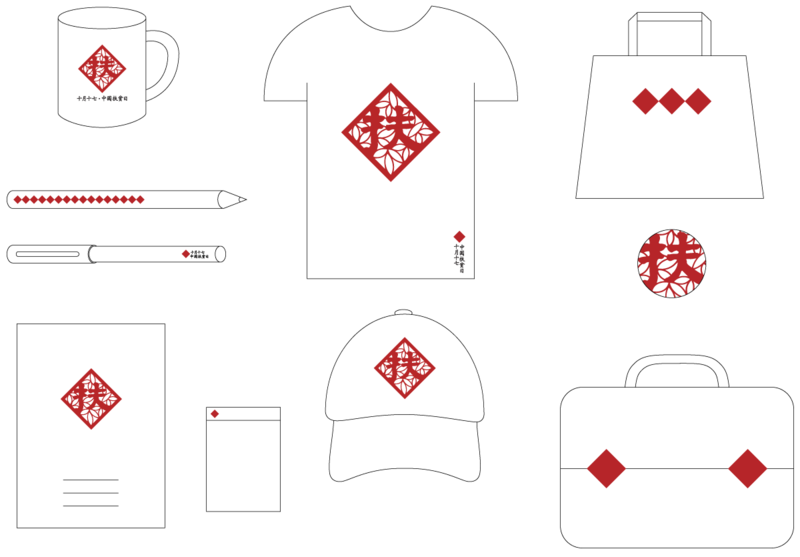 Then the question became whether the logo in itself should be able to tell giving a hand brings happiness. If not, logo+text is still a comprehensive, eye-catching, and context reflecting one. Moreover, we had the scenario that posters would be the medium carrying the message, drawing people’s attention and, if it works, encouraging awareness. Technically speaking, posters could be a better carrier, thanks to its rich possibilities of expression. In conclusion, we misplaced the role of message carrier. Before being clear about this, we were quite panic, thinking of throwing away completely the old stuffs as well as making something new. It was the very end of a lunchtime, we talked loosely about making a new logo in considering all the feedback. Yoko said she wanted to try once more. 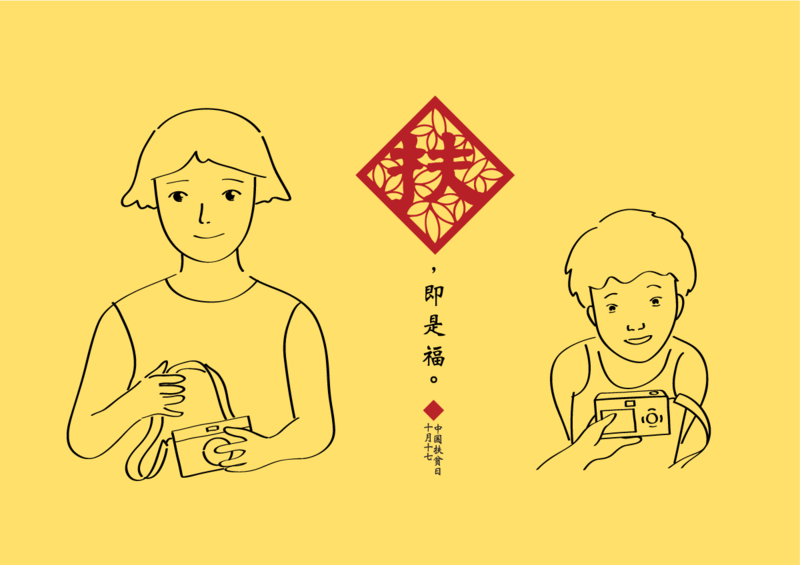 We still kept using single character as logo, but used only the give-a-hand Fú (扶). 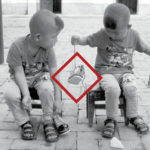 Being released from message carrying, the logo became super straightforward that nobody would misunderstand it anymore. Further, we tried to use the same graphics to visualize the meaning of the character as well as forming the character. Bird was chosen for the similarity between wing and calligraphy stroke and its connection to flying and hope. After completing the new one, we tested it on the same group of family members and friends. Interesting enough, those who had disliked the red rhombus liked the birds a lot; those who had appreciated the red rhombus were firmly anchored and just cannot accept the other ideas anymore.